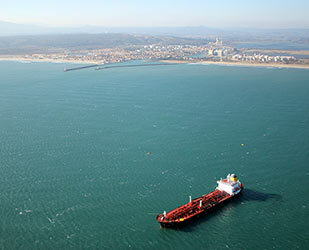 Port-La Nouvelle is the 2nd French Mediterranean port for petroleum products. Hydrocarbon imports represent about 1,100,000 tons of white products distributed throughout the south of France and Andorra. Current products are unleaded gasoline, gas-oil and domestic fuels. 1 sealine for discharging large tankers of max 190 m loa x 31.30 m boa x 11.60 m draft. It includes 1 mooring buoy anchored at -18 m, 1 x flexible pipe of 10” and 1 x 16” pipe of 2450 m long going to shore. It accepts ships up to 30 000 dwt and 40 000 Mt displacement. 1 berth for medium-sized tankers (max 145 l loa x 22 m boa x 8 m draft). EPPLN (Entrepôts Pétroliers de Port-La Nouvelle) : the Company is 50:50 owned by the groups DYNEFF and TOTAL RAFFINAGE MARKETING. Storage capacities are 145 000 cbm. 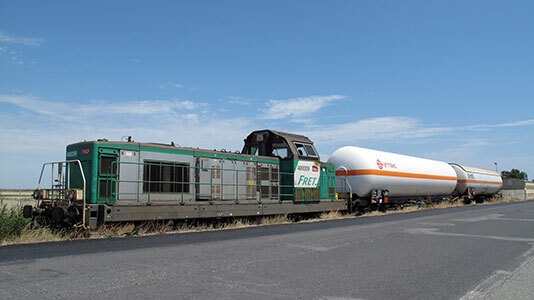 Gas port operators receive regular tonnages of GPL by rail. Maritime imports stoped in 2010. Not in use : 1 berth for gas tankers of max 120 m loa x 22 m boa x 8 m draft. The manifold for GPL has been dismantled in 2015. FRANGAZ is a subsidiary of BP France and Rubis group. The company ensures the supply of LPG (butane and propane) to the retail distribution network (supermarkets). Sales and filling of gas bottles and tanks. The site is connected to the rail. ANTARGAZ. The group is and independent LPG distributor. The site of Port-la-Nouvelle proposes the filling of gas bottles and industrial LPG tanks. It has an underground storage capacity of 3,000 M3 and is connected to the rail network..